← Final tunes: Countdown to May 16! Last practice jam this Thursday, Long&McQuade’s, 935 Bloor St. West. 6:45 – 8:45. It’s not too late to join us – become a member (you’ll be entered in the draw for a Cricket electro-acoustic fiddle); get our tune book (free book for members, or download tunes at www.worldfiddledaytoronto.ca); or just come out and join us on Saturday May 16 at Fort York for a day of great music making. Remember to sign up for the morning workshops. All afternoon activities (concert 12:30, Jam at 2:30 are ABSOLUTELY FREE. 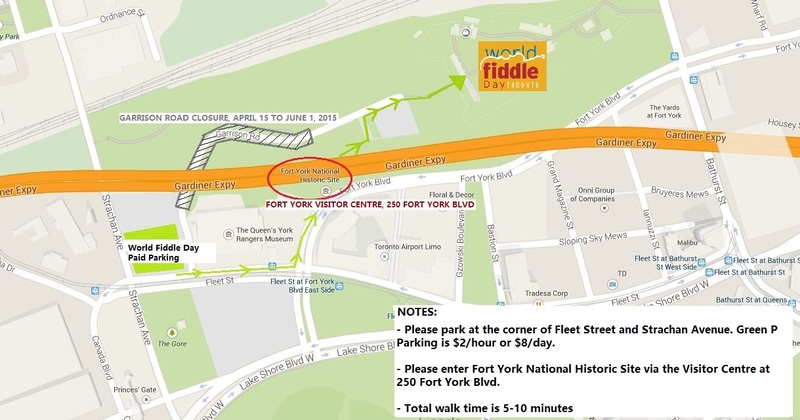 Check the World Fiddle Day page for specific directions and more information about the day. Please spread the word!